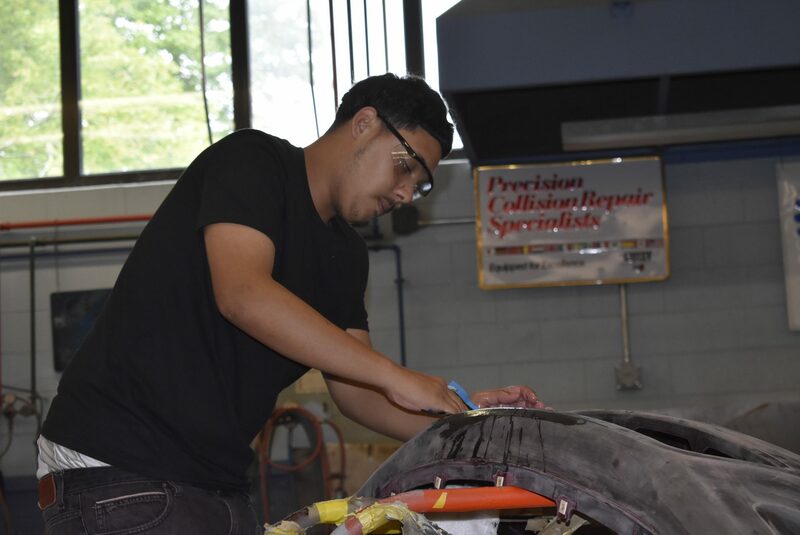 The Collision Repair Technology is certified by the National Automotive Technician Educational Foundation (NATEF). 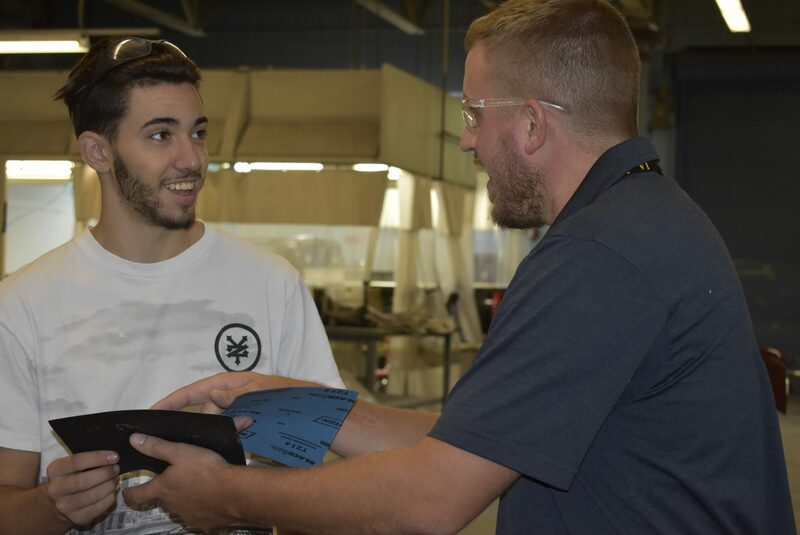 NATEF was founded in 1983 as an independent, non-profit organization with a single mission: To evaluate technician training programs against standards developed by the automotive industry and recommend qualifying programs for certification (accreditation) by ASE, the National Institute for Automotive Service Excellence. Students entering this trade must possess mechanical aptitude, good reading skills, and an understanding of basics mathematics. 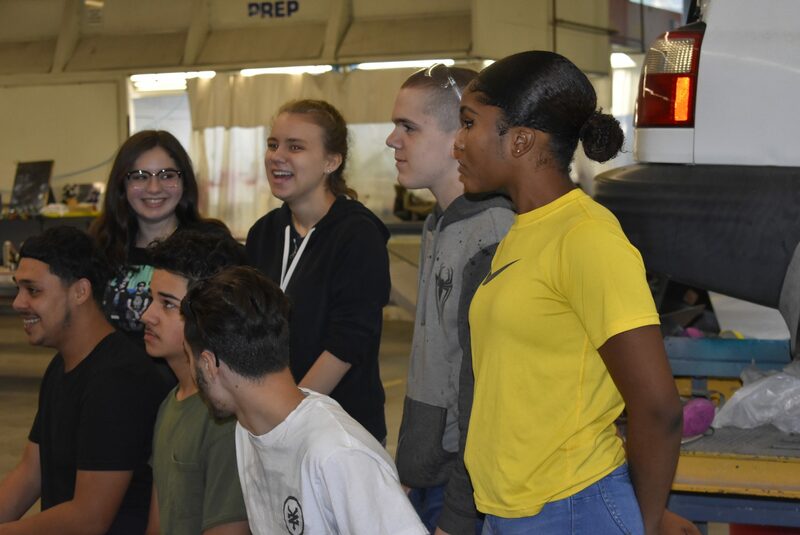 Utilizing the I-CAR Advanced Tech Curriculum, students gain skills in metal straightening, unitized body and frame alignment and straightening, refinishing, paint mixing, color matching, customizing, plastic repair, welding (oxyacetylene and MIG), plasma cutting, suspension, wheel alignment, and collision repair electronics. 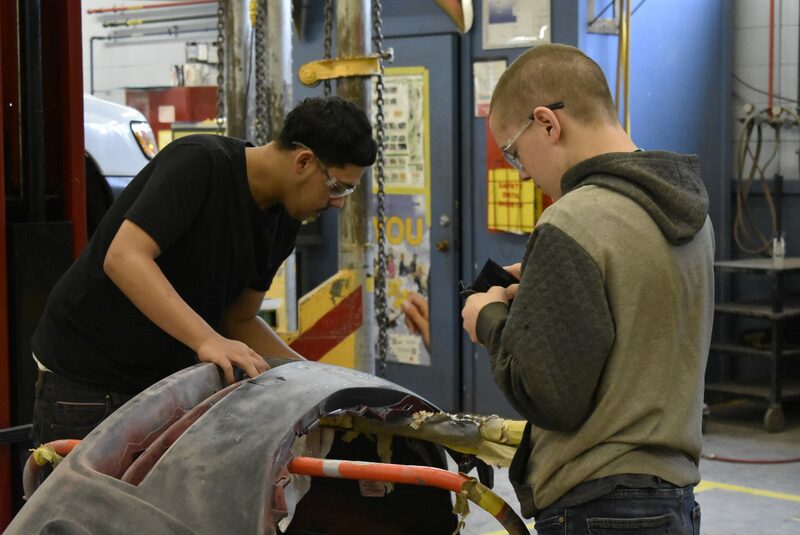 Students learn all phases of body repair in modern facilities, using today’s most advanced equipment, and have the opportunity to become nationally qualified I-CAR collision repair MIG welders. 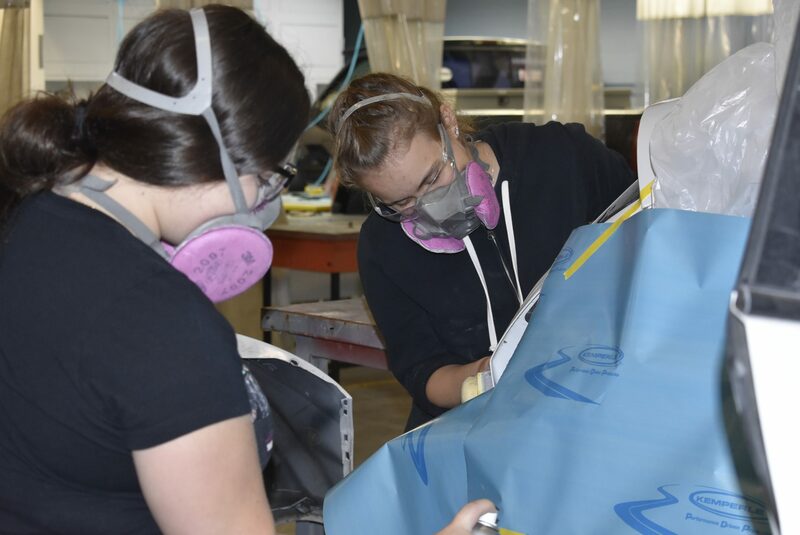 Students who wish to pursue post-secondary education have the opportunity to attend New England Technical Institute. 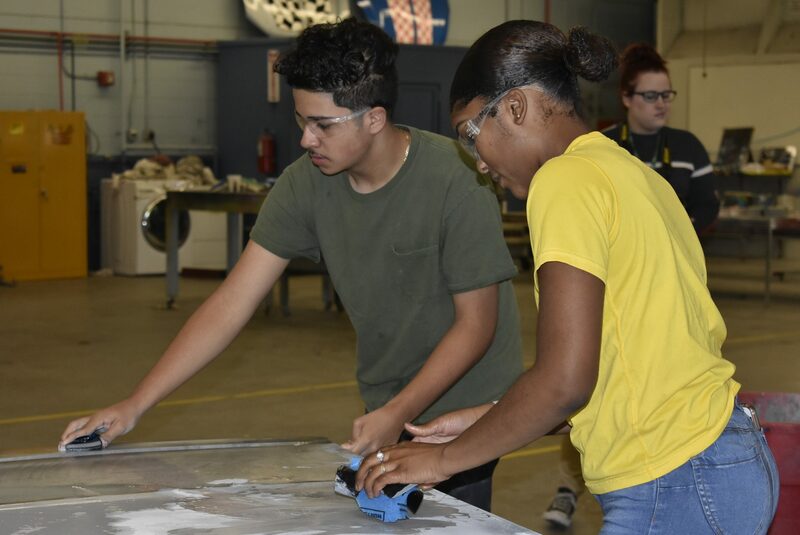 This program is available through a matriculation agreement with GNB Voc-Tech. Students who meet the criteria have 18 credits applied toward their degree. Also, they have the opportunity to test out of any area in which they are currently proficient. Students who graduate from New England Tech receive an Associate’s degree in their chosen trade area.